You don't have to be vegetarian to visit the Waihi Vegetarian Festival between 10 am and 3 pm on Sunday, November 04. Entry is free at the Waihi Academy on Landlyst Road and dogs on leads are welcome too! Forget 5+ a day - there'll be 40+ food stalls on the day to tempt you. 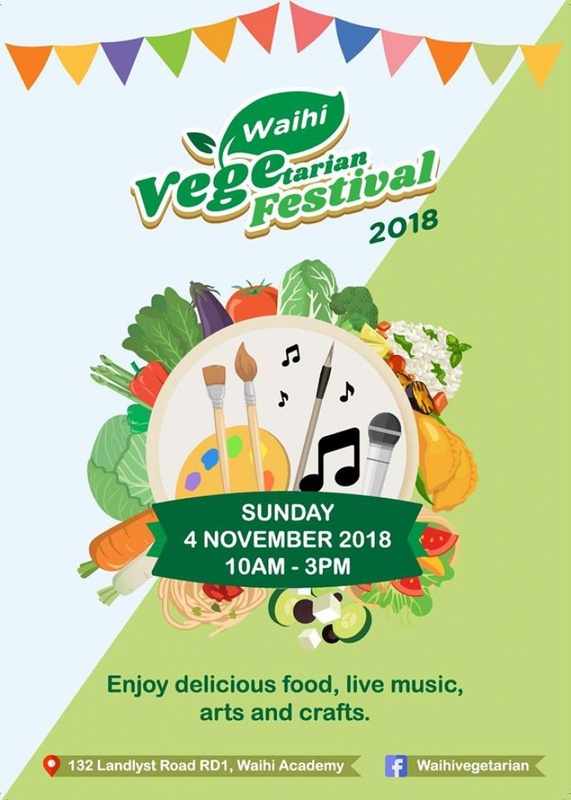 Learn about ingredients and get a fresh perspective about vegetarian food at the Waihi Vegetarian Festival 2018 at Waihi Academy on Landlyst Road!